Controlling a business can be easier than ever with help from a professional IT consultation firm. Value Automation helps clients in Tampa, Clearwater, and St. Petersburg run their businesses more smoothly and efficiently. Our experienced IT consulting technicians will find a solution for all of your business computer issues. There are always new programs to learn and new software to use. Let our professional consultants find the best programs for your business and make sure the work you need to do every day runs smoothly. If your company uses computers or an internet connection then utilizing the help from a profession IT Consultation Company can be very beneficial for you. This is especially so if you heavily rely on computers and technology to run your business. 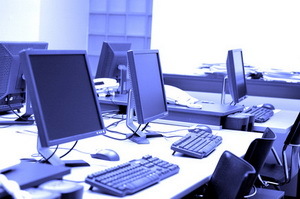 If your office has many computers or other electronic devices, then it becomes problematic if you don’t hire a IT professional to help. Having to keep every system updated can be a hassle if you are unfamiliar with the required programs or hardware. With our business computer services, we can help your company manage information and communication more efficiently which will be beneficial for your business in the future. People are often intimidated by technology, fortunately for those living in Tampa, Clearwater, and St Pete; a simple call to Value Automation can resolve all their problems. Regular maintenance is something that people often overlook when dealing with computers, which is why hiring a professional for all your business managed computer services is crucial. Failing to keep all your systems updated can leave your security vulnerable and full of operating errors. Our courteous staff will go above and beyond what is needed in order to have your company running at its fullest potential and also making sure that all of your issues are met. This can be a relief for those who have higher priority tasks to take care of. Business owners in Tampa, Clearwater, and St Pete can take advantage of the expertise that our IT consulting firm posses which will relieve the stress that has been put upon you. Value Automation provides top quality business computer services. The benefits that you gain from utilizing the help from a professional IT company can work to your advantage when you have a fully protected and enhanced system available. Our experts can improve productivity for your company once your employees have the capability of looking for information and relaying it to others more quickly, which in turn helps maximize profits. Also the efficiency of your company will be greatly improved when there are no errors on your website or when emails are sent more quickly. This will help with client relationship as well when you have a more user friendly interface and open path of communication between a company and its customers. Our versatile IT consulting technicians are capable of providing many different services, below are some of the business computer services that you can take advantage of for your company. Contact Value Automation today for outstanding business computer services!